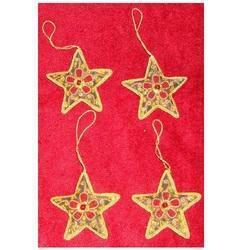 X-Mas Hanging Star offered are perfect choice to light up the mood and prepare the home interiors for Christmas festival. These exclusive hanging fish decorative can be hanged from ceiling or a light fixture and are best choice to decorate a ballroom or to fill your room up. The attractive look provided by these fish shaped decorative also makes these the best party decorations that greet the guests and set up the stage for party. Payment Mode : T/T (Bank Transfer), Western Union, PayPal by your credit card. 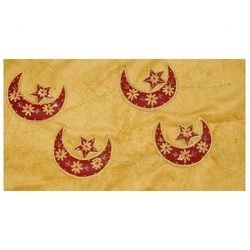 Zari Embroidery Christmas Hanging Bird offered are perfect choice to light up the mood and prepare the home interiors for Christmas festival. These exclusive hanging fish decorative can be hanged from ceiling or a light fixture and are best choice to decorate a ballroom or to fill your room up. The attractive look provided by these fish shaped decorative also makes these the best party decorations that greet the guests and set up the stage for party. Payment Mode : T/T (Bank Transfer), Western Union, PayPal by your credit card.. Looking for Christmas Gift Items ?